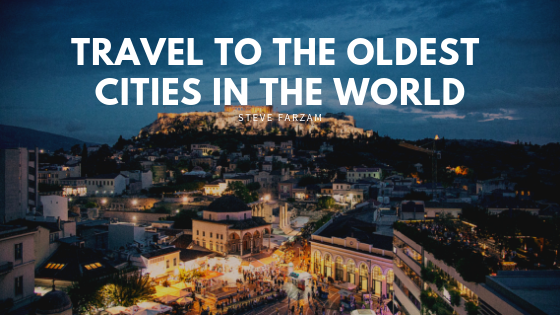 Steve Farzam is a professional whose diverse skill set and education have led him to success and fulfillment in many areas — hospitality and travel, emergency medicine and law, and disaster relief, to name a few. To learn more about each of the cornerstones of Steve’s career and his personal life, check out his hospitality blog or community blog. To get a crash course on his career and personal life overall, keep reading! Steve was born in Seattle to two immigrant Jewish Iranian parents who fled to America to provide a better life for his three older siblings. The Farzam family eventually entered the hospitality business, inspiring Steve to do the same one day. He spent much of his early career in public service, particularly in emergency medicine. Steve then shifted his focus to a new role, which has challenged and inspired him ever since: Chief Operating Officer of Shore Hotel in Santa Monica, California. He managed the hotel’s LEED Gold design, construction, grand opening and continued operations. Steve has committed the entire hotel in reducing its carbon footprint. Under Steve’s leadership, Shore Hotel has won several hundred awards and accolades for its environmental responsibility and green stewardship. The hotel regularly remains #1 on Trip Advisor of 40 hotels in the city. Recently Shore Hotel was rated #4 of the top 50 luxury hotels by the world renowned Conde Nast Traveler magazine. Steve personally launched a strategic partnership with Southern California Edison to help prevent blackouts on neighboring power grids. In Steve Farzam’s free time he enjoys his family and friends, especially being a fun uncle to his 12 nieces and nephews. He loves to cook and entertain and camp outdoors. An avid collector, Steve loves restoring classic vehicles from renowned TV shows. He enjoys comedy shows, listening to live music and always being the fun uncle. In his spare time, Steve enjoys flying fixed wing aircraft and volunteering at a local hospital with one of his two dogs that are certified in patient therapy. He is son to a retired physician Dr. Siroos and Gina Farzam, and Dad to two adorable dogs. His future plans include expanding the family business and one day his own family. Steve Farzam has always had a passion to help fellow mankind and is an avid animal lover. As a certified flight paramedic where he was paid to perform his job, he was destined to do more. On September 1, 2005 Steve immobilized with a Disaster Response Team that was comprised of 11 highly trained professionals to respond and aid to those who were victimized by Hurricane Katrina in New Orleans. His base camp was at the Lemar Dixon fairgrounds outside of Baton Rouge Louisiana. During his 10 day deployment, Steve Farzam aided FEMA and several other agencies in locating and rescuing humans and animals left behind. He was able to tend to several injured people who would have otherwise waited hours for medical treatment since all of the local hospitals were closed. His team discovered several deceased persons. Steve said, “This was an awful tragedy that was unexplainable, but there were lives that were depending on us”. He went on to say “if given the opportunity I would gladly do it all over again”. Steve highly advocates for people to serve their communities as a volunteer. 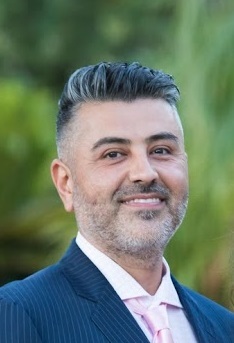 Steve Farzam has since taken his experiences of serving others to the hospitality world where he is the Chief Operating Officer for Shore Hotel in Santa Monica California. Shore Hotel offers guests a number of ways to relax during their vacation. Enjoy the hotel’s lovely ocean views as you lounge by the pool or unwind in the hot tub. Work out in our state-of-the-art fitness facility. Whatever your plans for your stay in Santa Monica, we want you to enjoy your time with us. On this blog Steve will share his insights into his career leadership and his hobbies.